When clients are asked to describe their ideal kitchen, they often describe it using moments and experiences like waking up with a warm cup of coffee and a nice breakfast. Make every moment your client spends in the kitchen worth remembering when you use the kitchen remodeling products at ProSource® of Tulsa. Trade pros can partner with our team members to find the materials they need to make their client’s kitchen come to life. The kitchen is an active space in any home, and that means that clients cannot be cramped by crowded workspaces and counters. Offering your clients new kitchen cabinets is a great way to improve the amount of storage space in a kitchen and a way to enhance the visual appeal of the space. 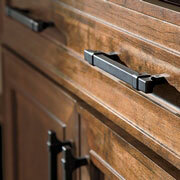 To make your kitchen cabinets really stand out, be thoughtful in how you select your cabinet hardware. Our team members can walk trade pros through our complete line of knobs, pulls, and handles to find a hardware solution that seamlessly matches the kitchen cabinets. 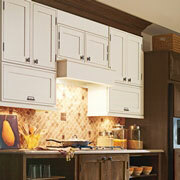 The kitchen counter is one of the most used surfaces in the entire home. It plays host to the process of crafting a culinary creation, as well as a blank canvas for play time and clean for children. At ProSource, you’ll find countertops made from natural materials like marble and granite, as well as recycled materials. 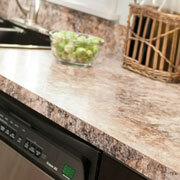 Whatever material you chose, your client will have an attractive and lasting countertop for their kitchen. 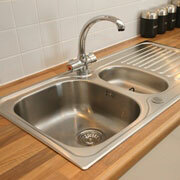 ProSource of Tulsa offers kitchen sinks of all varieties, including drop in sinks, undermount options, farmhouse style, and even integral sinks. Whatever look your client wants, you can find it in our showroom. 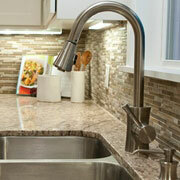 The kitchen faucet helps to enhance the look and function of your client’s new kitchen sink. Offered in a myriad of materials and finishes, it’s not hard to find a beautiful new kitchen faucet in our Tulsa showroom.